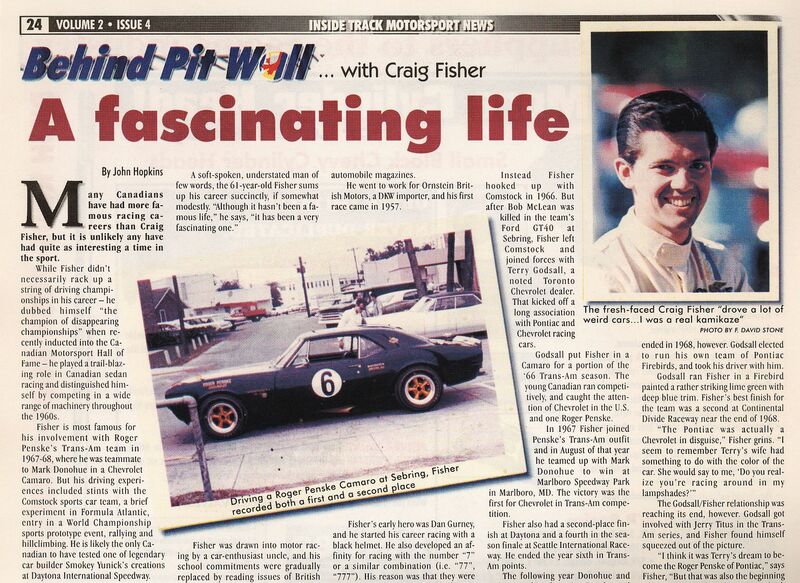 When Craig Fisher was inducted into the Canadian Motorsport Hall of Fame in 1997, he was interviewed by John Hopkins for Inside Track Motorsport News. 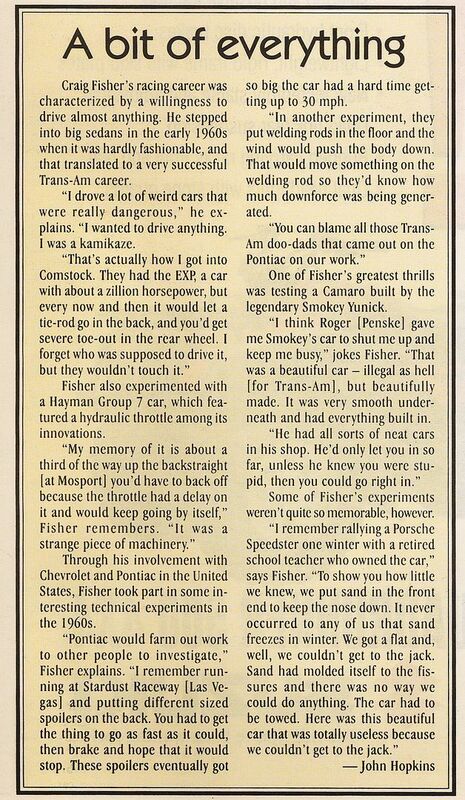 Below is some rare insight into the racing life of Craig Fisher, the first person to win points for both Chevrolet and Pontiac in the Trans-Am series. 14th Z-28 on Vince Piggins' list. It was painted up to look like the Black Panther models that the dealership was promoting. 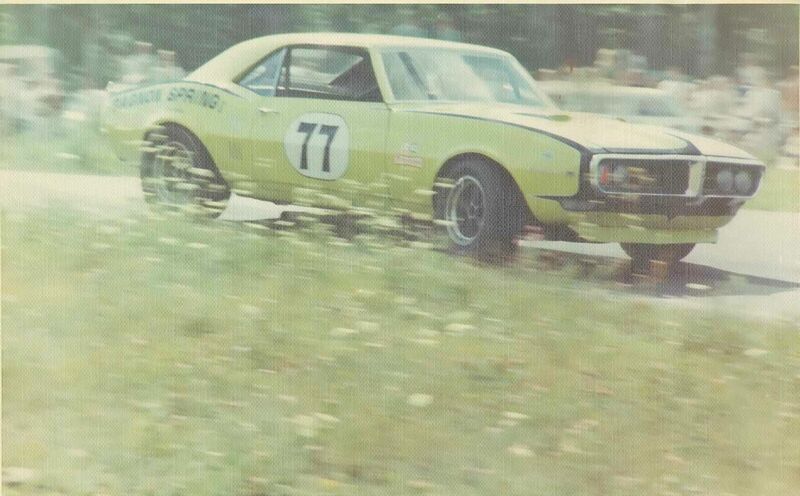 This photo was taken at the Green Valley Trans-Am in April, 1967. 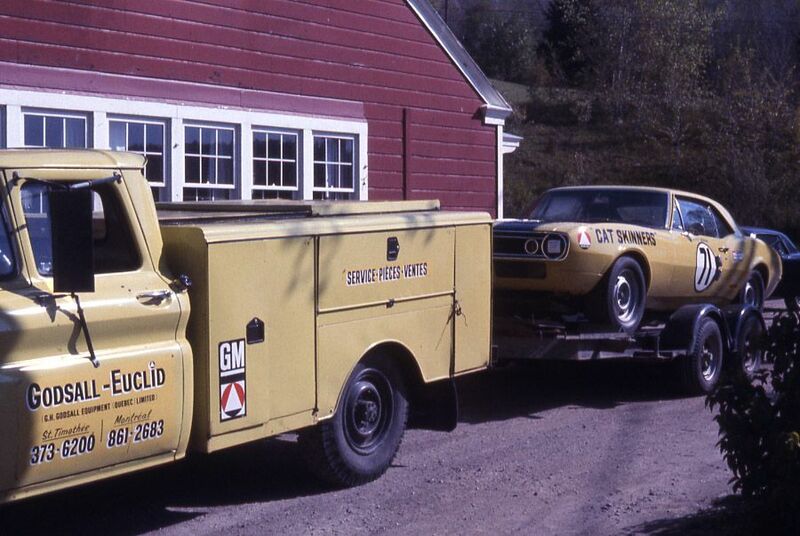 This is the same car as seen at Lime Rock. 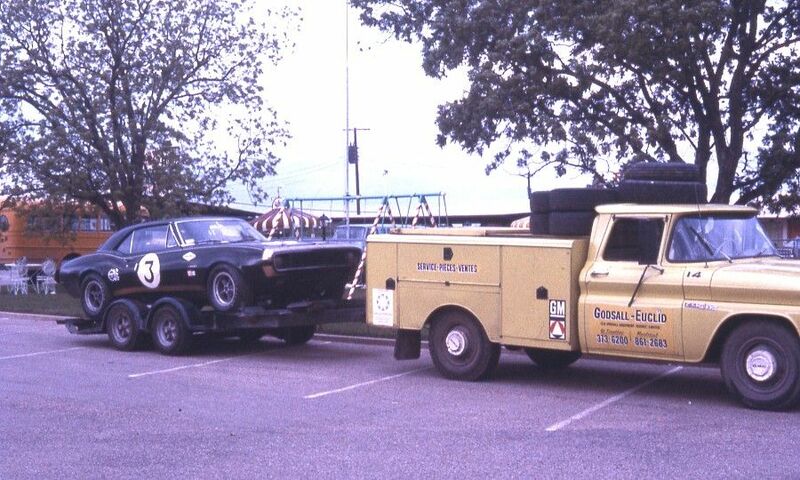 An accident at St Jovite, the week prior, wiped out the RS grille and valance panels and the car was repainted. 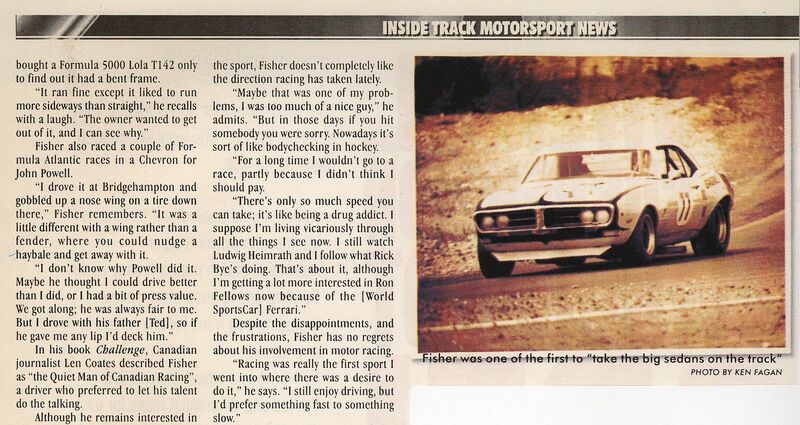 After driving Camaros for Roger Penske, Fisher raced this Firebird sponsored by Robert Gagnon during the '68 season. 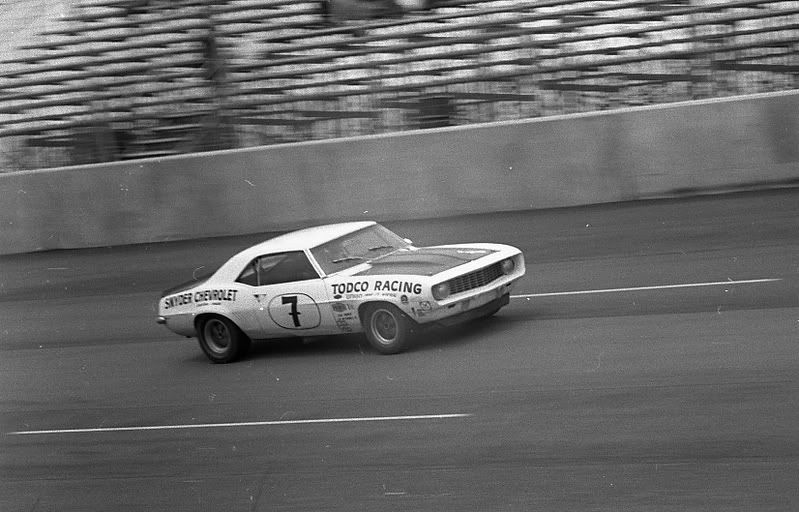 He moved on to a Todco Camaro in 1969. 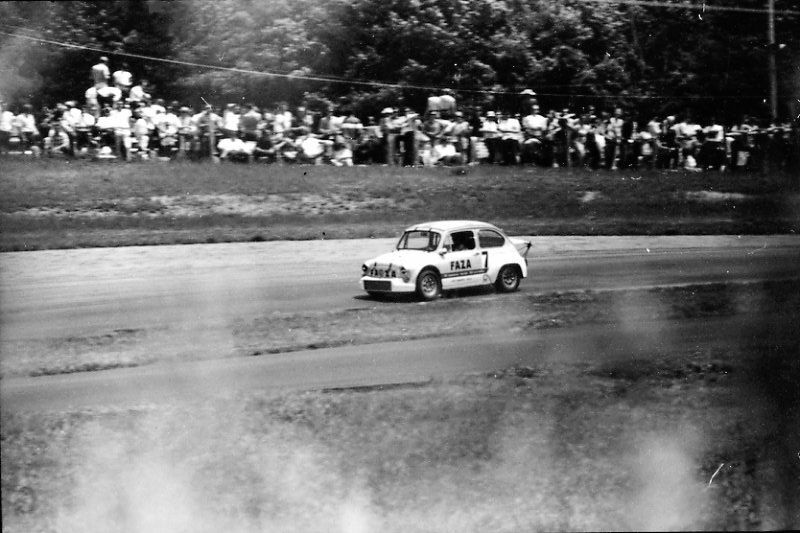 For the first few races on the 1970 season, he raced a year-old Firebird, then switched over to the U-2 ranks to race this Fiat-Abarth.